Do the leaves constantly get in your way of having that well-manicured lawn? No worries! At Suburban Lawn Equipment, we have just the right outdoor power equipment for you! Since there are a lot of power tool options on the market right now, we wanted to make it easy on you. Below is a video of everything you should know about leaf blowers. 0:32 – What is CFM and why is it important? 0:42 – What Hand-Held Blowers are worth buying? 1:11 – How much power do Backpack Leaf Blowers provide? 1:47 – What leaf blowers handle bigger surfaces? 2:16 – What is the best equipment for leaf removal? 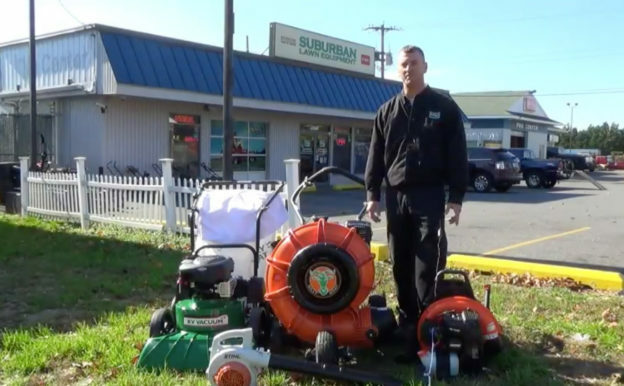 At Suburban Lawn Equipment in Wilmington, Delaware, we got everything you need to conquer the leaves this fall season! Check out our website for the inventory and great deals! Want to know more? 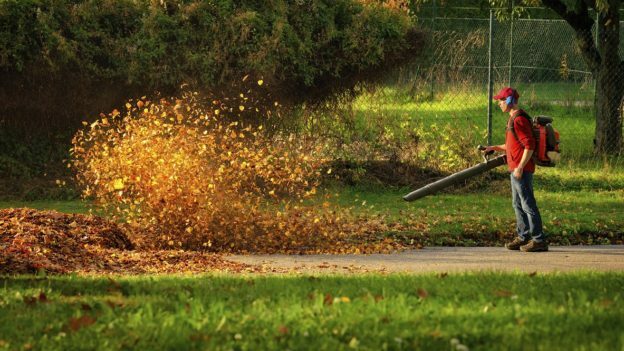 Still not sure which leaf blower is right for you? 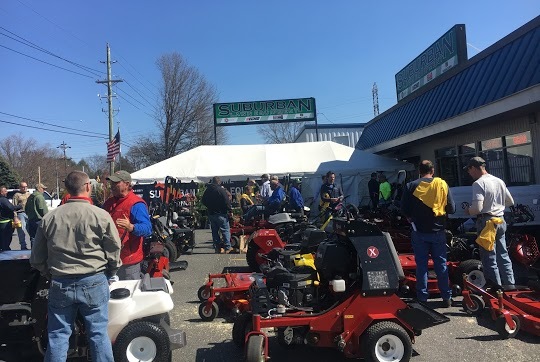 Contact us at Suburban Lawn Equipment for our expertise and all your Outdoor Power Equipment needs in Delaware! This entry was posted in Commercial Lawn Equipment, commercial outdoor equipment, lawn care, Outdoor Power Equipment, STIHL Outdoor Power Equipment and tagged leaf blower, leaf blowers, Outdoor Power Equipment Delaware, Outdoor Power Equipment Needs, STIHL products, Suburban Lawn Equipment on October 11, 2018 by Suburban. Join us on Customer Appreciation Day! Enjoy Special Discounts! Need to get new outdoor power equipment? 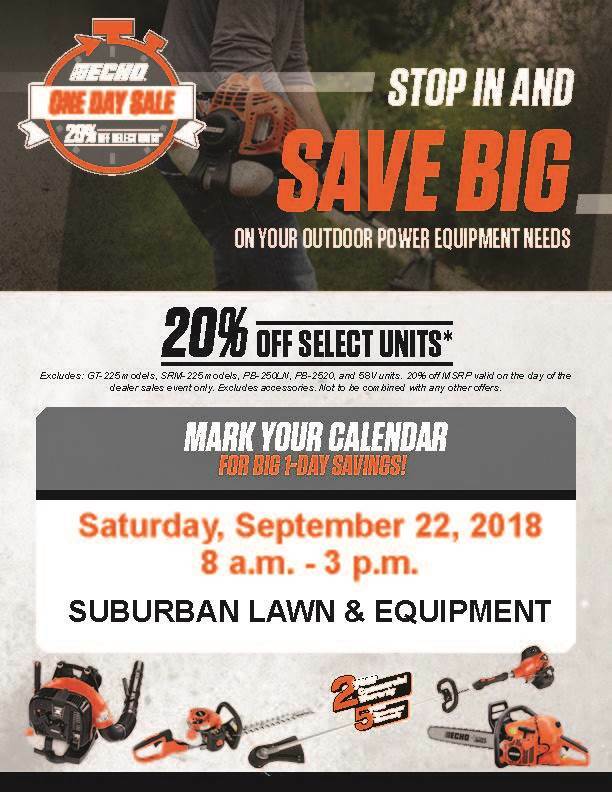 Stop by Suburban Lawn Equipment on Saturday, September 22nd during our Customer Appreciation Day and save big on your outdoor power equipment needs! Quality products and service are the highlights of our independently owned & operated business since 1981 and that’s how we make customers for life! If you’re not sure what products will suit your needs best, you can talk to our factory authorized technicians first. In addition, we register all warranty information and will assist you in loading your equipment into your vehicles at no extra charge. We deliver convenience, efficiency and value for your investments. One day sale only – 20% OFF select ECHO PRODUCTS. 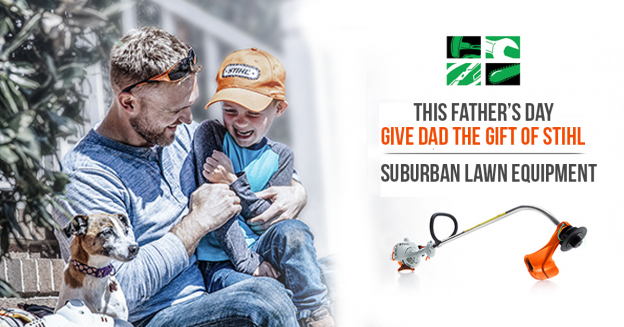 For more specials at Suburban Lawn Equipment, please visit this link. 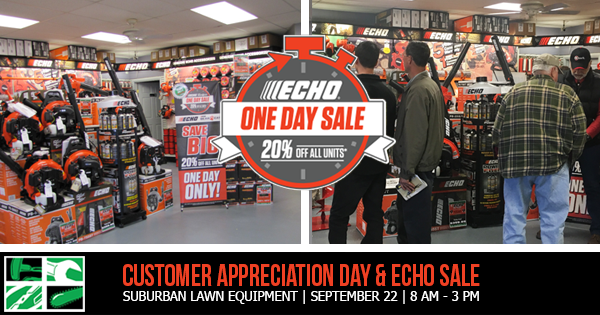 This entry was posted in Commercial Lawn Equipment, commercial outdoor equipment, landscaping business, lawn care, Lawn Mowers, Outdoor Power Equipment and tagged commercial outdoor equipment, Customer Appreciation Day, Echo, ECHO products, ECHO sale, Outdoor Power Equipment Delaware, Outdoor Power Equipment Needs, Suburban Lawn Equipment on September 11, 2018 by Suburban. 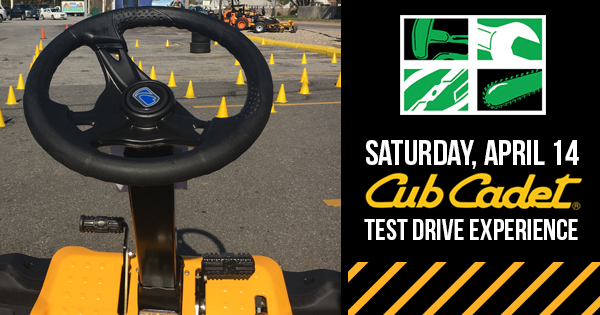 If you haven’t heard by now, each year the staff of Suburban Lawn & Equipment, our outdoor power equipment dealers, partners, factory representatives, vendors, friends and customers, come together for a fun day filled with great deals, educational seminars, test drives and food. This is truly our favorite time of the year and what’s even better, 2018 marks our 30th year of hosting an Open House event! We could not be more grateful for the turnaround and the ongoing support! Thank you to all of our commercial customers and everyone else who participated in this biggest sale of the year. We hope to see you back next year! For those of you who couldn’t be there, here’s a recap of the event. 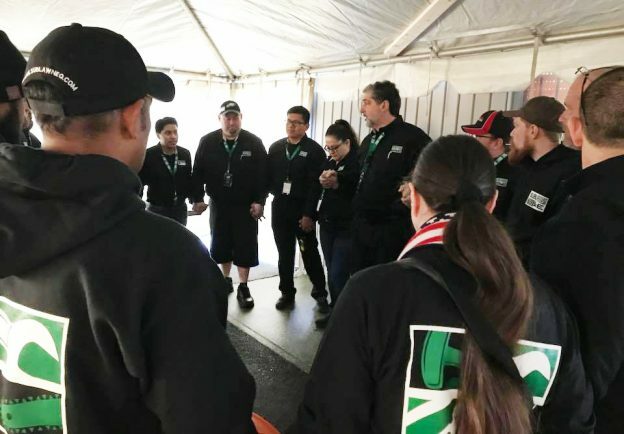 Missed the opportunity to test drive the equipment during our Open House event? We have another exciting event coming up on April 14th! Stay tuned for more details! This entry was posted in Commercial Lawn Equipment, commercial outdoor equipment, landscaping business, lawn care, Outdoor Power Equipment, Spring Expo and tagged commercial outdoor equipment, customer appreciation, Open House, outdoor lawn equipment delaware, Spring EXPO, Suburban Lawn Equipment, Suburban Lawn Equipment's Spring Expo on March 13, 2018 by Suburban. Love that well-manicured lawn, but the leaves constantly get in the way this fall season? No worries! There are many outdoor power equipment options, and we’ve got it all covered for you! Read along to learn everything you need to know BEFORE buying a new leaf blower. CFM (Cubic Feet per Minute) means the volume of air coming out of the leaf blower. People talk about a wind speed, but it’s really CFM that matters. Hand-Held Leaf Blowers. A good quality hand-held leaf blower should be around 400 CFM. Backpack Leaf Blowers. Ideal for bigger properties. A good quality backpack blower will put out between 500-700 CFM. Walk-Behind Leaf Blowers. Perfect if you need more power and quicker results. Look for one with 1200-2800 CFM. Leaf Vacuums. Perfect solution for leaf removal. They come in push versions or self-propelled. This entry was posted in BOSS Dealer, lawn care, Leaf Blower and tagged Cub Cadet, cub cadet delaware, Delawares stihl dealer, leaf blower, STIHL Dealer, STIHL products on November 1, 2016 by Suburban.